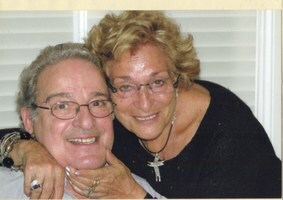 Provide comfort for the family of Maria DeSousa with a meaningful gesture of sympathy. Retired Chrysler Trim Plant – Peacefully surrounded by family on Sunday April 7, 2019 at Lakeridge Health Oshawa at the age of 85. 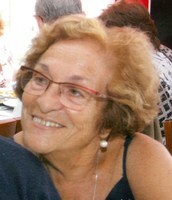 Maria, beloved wife of the late Mario Ruas DeSousa. Predeceased by her sons Joao Manuel and Richard Joseph DeSousa and her parents Joao Rosa and Maria Julia (nee Espiga) Lopes. 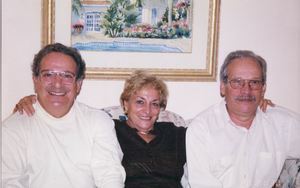 Dear sister of Augusto Lopes (deceased) and his wife Maria Emelia and family, Joao Espiga Lopes (deceased) and his wife Elaine. Sister in law of Idalina Santos (deceased) and her husband Arnaldo, Argentina Juncal and family and Maria Jesus Melo and family. Missed by many nieces, nephews and cousins here in Canada and in Portugal. Friends may call at the ARMSTRONG FUNERAL HOME, 124 King Street East, Oshawa on Friday April 12th from 10 am until 12:30 pm. Funeral Mass at St. Gertrude’s Church (King Street East of Wilson Road) on Friday April 12th at 1 pm. Maria will be going to Portugal to be interred with family members that have gone before her. Memorial donations to Downs Syndrome Association, or Lakeridge Health Oshawa Foundation directed to kidney care or the cancer centre would be greatly appreciated by Maria’s family. 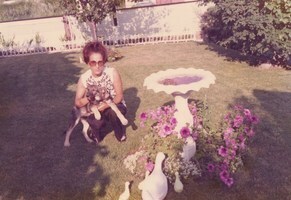 To send flowers in memory of Maria Amelia DeSousa (Lopes), please visit our Heartfelt Sympathies Store.